This is a book which I can read over and over. As a matter of fact, I have. This was the 4th time I have read this book since first encountering it 25 years ago. Part of that fascination is that I lived in Baltimore for about 17 years. And that time was spent in the neighborhoods where much of Mr. Baker’s youth and early experiences working for the Baltimore Sun occurred. In many ways Baltimore is where I grew up in my 20’s. 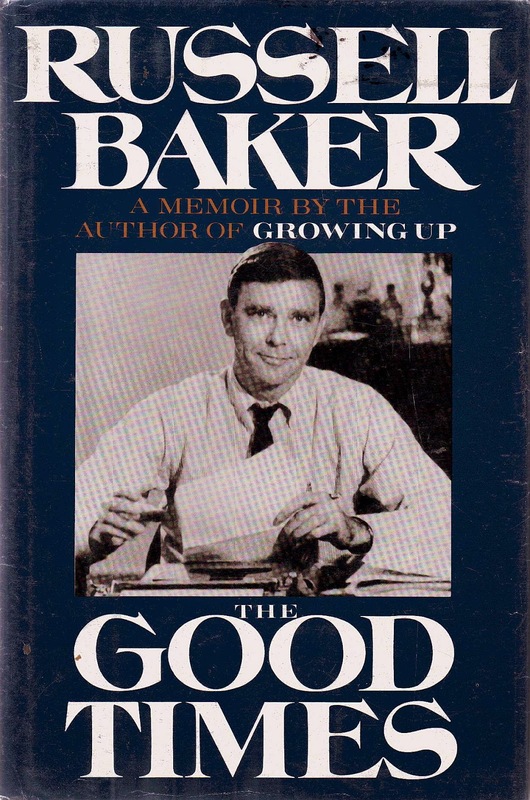 In this follow up to his earlier book, “Growing Up”; a gem itself; Mr. Baker focuses on the time from his first job as a newspaper delivery boy and his adolescence; his time in the service, and college; before moving on to his early career as a police reporter for the Baltimore Sun. This is where he earned his stripes as a journalist; a profession which, in my opinion, cannot be taught in school. It is something which is either inborn, or an acquired taste; like that for fine brandies. The late 1940’s was really the golden age of newspapers in this country. TV was in its infancy; and radio was the primary source for breaking news. For in depth analysis of the news people turned to editorial pages and columnists, who both still commanded plenty of respect. This was, of course, before the age of 24/7 news with its anything goes attitude about what constitutes news and the way in which it is reported. Mr. Baker uses all his wit and skill to paint not only a portrait of his own life during this period; but also to give us an idea of what it was like to live between the years 1947 and 1963; which he affectionately refers to as “the good times; if you were white.” His rise in the newspaper business from newsboy to fledgling police reporter, and later internationally acclaimed columnist all occurred within those years. The characters he met and worked for; the politicians he dealt with; who ranged from Senators Johnson, Nixon, Thurmond and all the rest; provide enough fodder to fill 2 more books. His time as the Sun’s man in London is really fascinating; as it highlights the differences between our own post war experience and that of the countries; like England; which had been ravaged by war. The rationing went on in England for about 15 years after the wars end. Contrast that with the life we were leading here in America as the de-facto leaders of the world. Some of his reminisces will help you to understand just how we went so rapidly from being the world’s most beloved country to one of the most despised. Along the way he also explores the effect which the early death of his father had upon his mother, and by extension upon himself. His mother was forced into some very hard economic choices which informed who Russell Baker would become as an adult. Even after his mother has passed away he can still hear her exhorting him to make something of himself; in spite of his having won the Pulitzer Prize. When Mr. Russell began his career international commercial aviation was almost non-existent. Riding the rails and sailing the ships of the authors memories will take you back to the time when the world was about to change rapidly. And, if like me, you grew up in that period of rapid technological advancement, this book will have you wondering just what the world would be like now if we hadn't moved so fast.